Once upon a time in Africa, there was an enclave of druggie, over-indulged, ne'er-do-well Brits who made up Happy Valley. 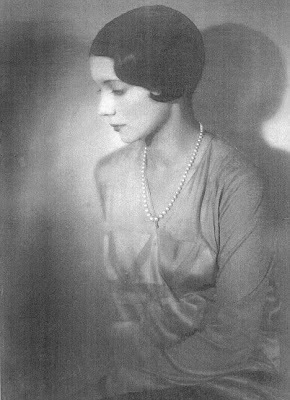 One of the women at Happy Valley was a socialite from middle America with the very European name of Alice de Janzé. 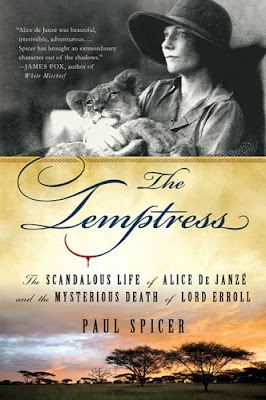 More recently, she has become known as merely, The Temptress, thanks to a book of the same title by Paul Spicer. Married Comte de Janzé, who was sad that Alice would lose the name "Silverthorne" upon their marriage. Fell in love with Raymond de Trafford in 1926. Both lived and eventually married each other... then divorced. I'm tired just thinking about it. If you read White Mischief or saw the exceptionally melodramatic movie of the same name ( Sarah Miles was cast as Alice), or if you are fond of beautiful train wrecks, do give this a read. As the influx of expats hit Nairobi, the St. Andrew's Church Woman's Guild, Nairobi compiled the Kenya Settlers' Cookery Book and Household Guide to help the wives adjust. Check out a recipe at Cookbook Of The Day. Poor little rich girls are the best. Alice de Janzé is right up Barbara Hutton and Brenda Frazier's craziness level. Gotta get this book.